It is no secret that Box Lacrosse is quickly becoming a much more mainstream version of the game of lacrosse here in the United States. The game of Box Lacrosse provides players with skills that field lacrosse simply cannot replicate. 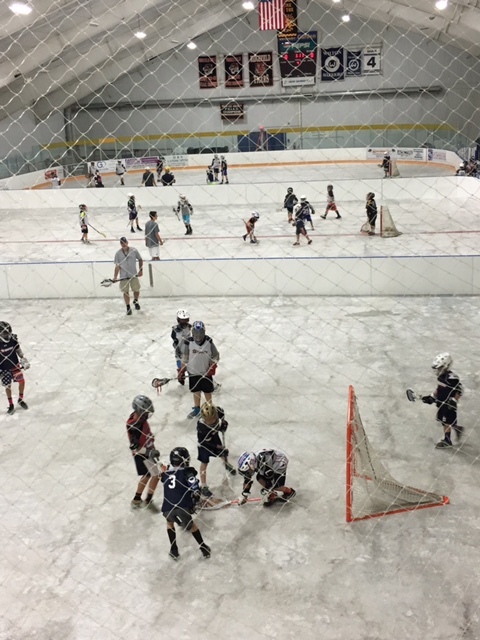 Many, many Division 1 coaches are singing the praises of box lacrosse and encouraging our American youth players to find a way to participate in this game. If you are like me, you have noticed that there are not a lot of true, quality box lacrosse opportunities for youth or hs players. The American Lacrosse Academy has been established to address this void in the American lacrosse player's development and to grow and develop the box game here in the Northeast. Our Box lacrosse teams have had incredible success in their first 6 months of existence, qualifying two teams for the US Box Lacrosse National Tournament in San Jose on August 5th. As we look for new ways to grow the game of box lacrosse and to provide opportunities for players of all ages to learn and enjoy this amazing game, we have created an authentic box lacrosse summer league and box lacrosse camp highlighted below. Please consider giving your son the opportunity to experience the game of box lacrosse this summer in one of these programs. I am sure he will fall in love with a new version of the game, develop a new passion for the sport of lacrosse and develop new skills which will improve his field lacrosse play and IQ. We look forward to working with your lacrosse player this summer! PLAYERS WILL BE GROUPED BY TOWN AND/OR WITH FRIENDS REQUESTED DURING REGISTRATION. MORE TOUCHES, MORE SHOOTING, MORE FUN THAN ANYTHING ELSE YOU CAN DO THIS SUMMER TO DEVELOP A LOVE OF THE GAME! SPACE IS LIMITED BY AGE GROUP, SPECIFIC AGE GROUP TIMES LISTED BELOW. FULL BOX LACROSSE GOALIE GEAR PROVIDED FOR ALL GOALIE’S! FEE: $225 FOR ALL AGE GROUPS & INCLUDES AN AMERICAN LACROSSE ACADEMY GEAR PACK WHICH INCLUDES AN A.L.A STARS GAME PINNY & T-SHIRT. BOX LEAGUE PLAY BEGINS ON MONDAY NIGHTS BEGINNING 6/12 IN THE BIG RINK! For questions and or additional information please contact COACH CJ at 1-844-PLAY-LAX or use the email 844PLAYLAX@gmail.com! For more info on current programs please visit our website at www.americanlacrosseacademy.com OR EMAIL COACH FLEMING AT 844PLAYLAX@GMAIL.COM!